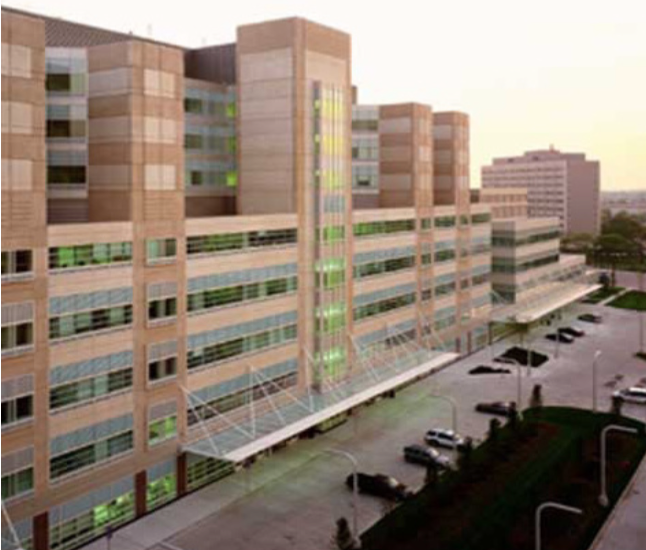 COOK COUNTY HOSPITAL – John H. Stroger, Jr. Hospital – Target Group, Inc.
of Chicago in the Medical Center District with immediate neighboring hospitals including Rush Presbyterian, University of Illinois Hospital, and Jesse Brown. Consisting of 9 levels, the hospital is anchored by 464 beds ranging from medical/surgical, obstetrics, and pediatrics to intensive care, neonatal intensive care, and burns. The total cost of the hospital was $551 million and the building now serves as a teaching hospital providing a variety of services as it is home to 300 attending physicians and more than 400 medical residents and fellows.